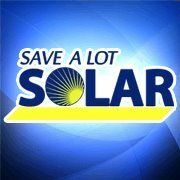 Save a Lot Solar - Save A Lot Solar is a Certified Bay Area Solar Installer licensed to install solar panels at your home, by the California Contractors Board. Save A Lot Solar is a Certified Bay Area Solar Installer licensed to install solar panels at your home, by the California Contractors Board. Save A Lot Solar is a Certified Bay Area Solar Installer licensed to install solar panels at your home, by the California Contractors Board. We provide solar design and installation for residential and commercial Solar Photovoltaic (PV) systems. As a North American Board of Certified Energy Practitioners (NABCEP) Certified PV Installer, our clients can expect the mark of quality and competency. We guarantee our solar installations for 10 years and our solar equipment has a 25 year production warranty. Visit us at savealotsolar.com for more details. Velo Solar is an Atlanta based, solar energy company specializing in 3-tiered, scalable energy solution comprised of solar PV, LED lighting and smart grid energy software.